Grammy Award-winning singer-songwriter Sting and director Joe Mantello will be part of an Oct. 20 TimesTalk to discuss the new Broadway musical The Last Ship, which opens on Broadway Oct. 26 at the Neil Simon Theatre. 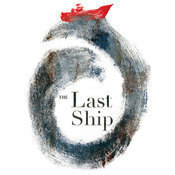 Directed by Tony winner Mantello (Casa Valentina, Wicked), The Last Ship arrived on Broadway in September following a Chicago world-premiere engagement earlier this summer. New York Times chief pop music critic Jon Pareles will lead the sold-out 6:30 PM discussion between the two collaborators, which will also be live streamed at TimesTalks.com. The new musical has a score by Sting, with a book by Tony winner John Logan (Red) and Pulitzer Prize winner Brian Yorkey (If/Then, Next to Normal). Choreography is by Olivier Award winner and Tony nominee Steven Hoggett (Rocky, Once). The principal cast features Michael Esper, Rachel Tucker, Jimmy Nail, Fred Applegate, Aaron Lazar, Sally Ann Triplett and Collin Kelly-Sordelet. The Last Ship ensemble includes Eric Anderson, Ethan Applegate, Craig Bennett, Dawn Cantwell, Jeremy Davis, Bradley Dean, Alyssa DiPalma, Colby Foytik, David Michael Garry, Timothy Gulan, Shawna M. Hamic, Rich Hebert, Leah Hocking, Todd A. Horman, Sarah Hunt, Jamie Jackson, Sean Jenness, Drew McVety, Johnny Newcomb, Matthew Stocke, Cullen Titmus and Jeremy Woodard.